Similar to its cylinder counterpart but has a fish-like shape. Unique tapered throat and a slot in the body to concentrate and project the sound. 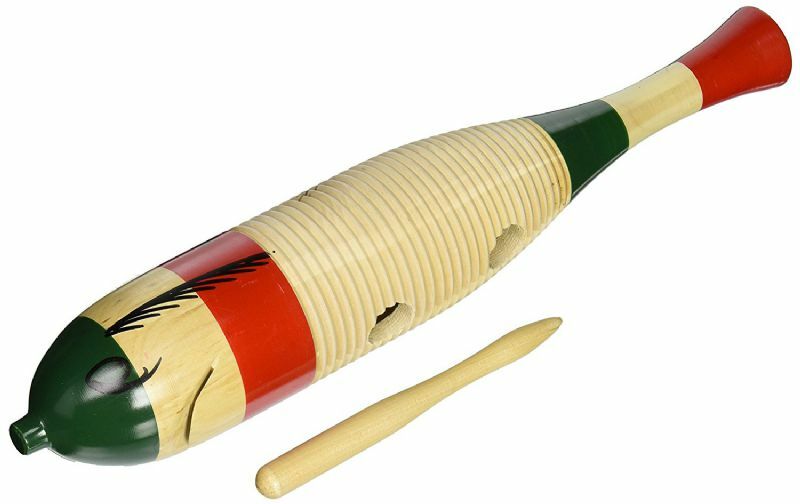 A wooden guiro scraper is included.